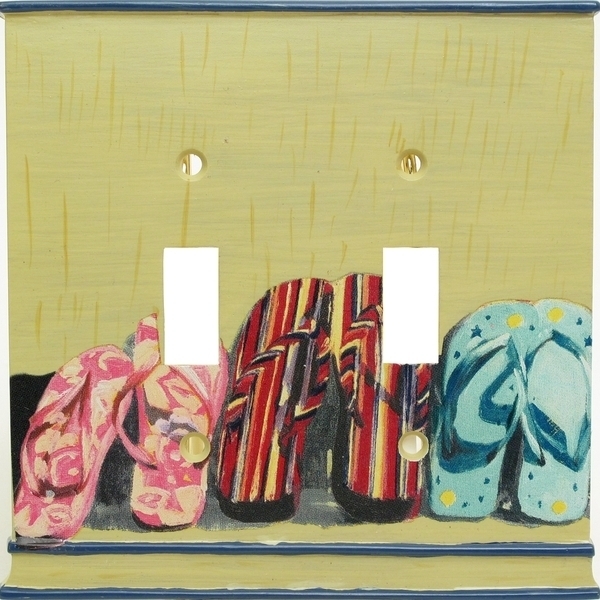 Dbl Switchplate Life's A Beach - Flip Flops across bottom of plate. Measures: 5" x 5" x .25". Resin.